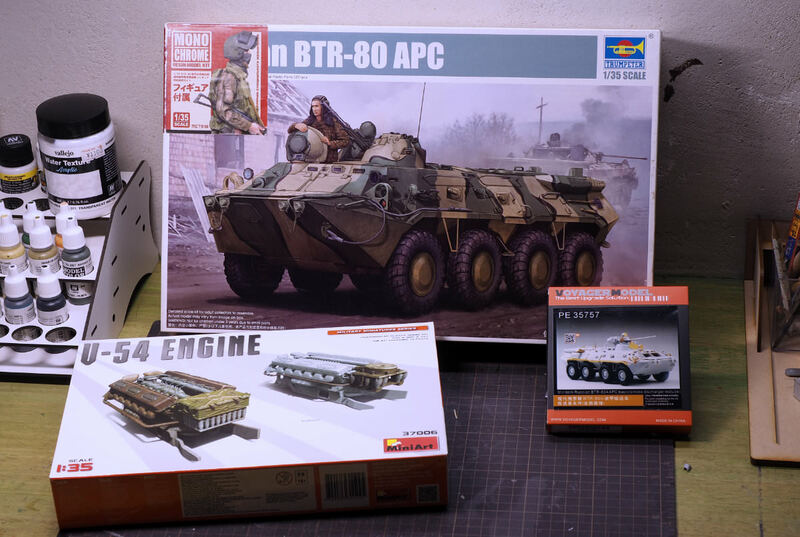 The last build-log I did on Armorama really motivated me during the building process, so I decided to do another one. 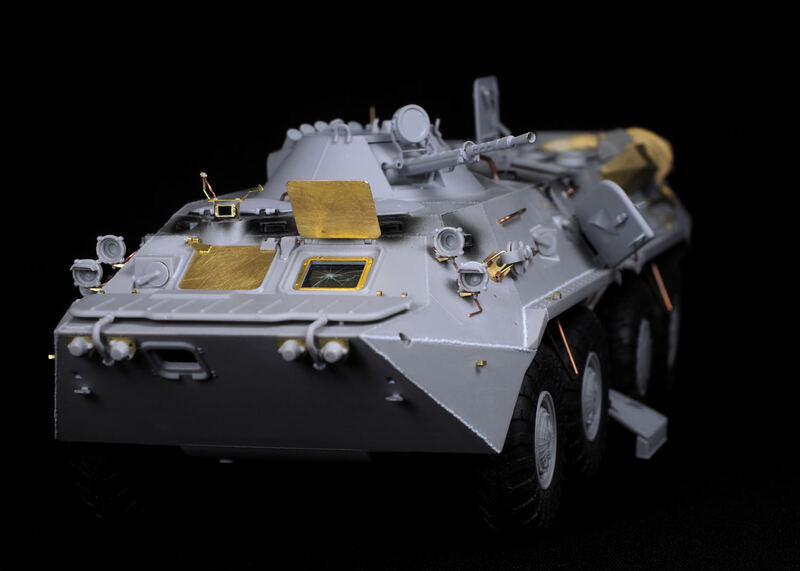 This time I am building Trumpeter`s BTR-80 in 1/35 scale. Here are the major "kits" I`ll be using for this build. 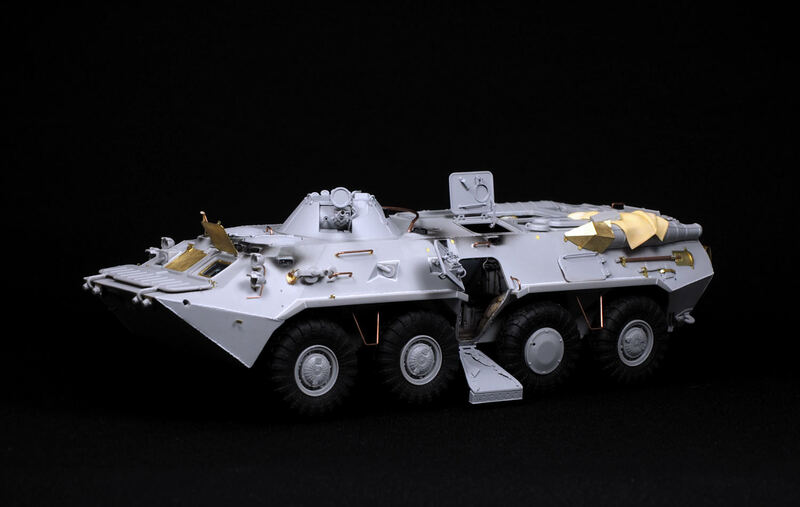 The BTR-80 came with a nice resin figure suited for Chechnya time period. I believe this was a Japan exclusive deal. 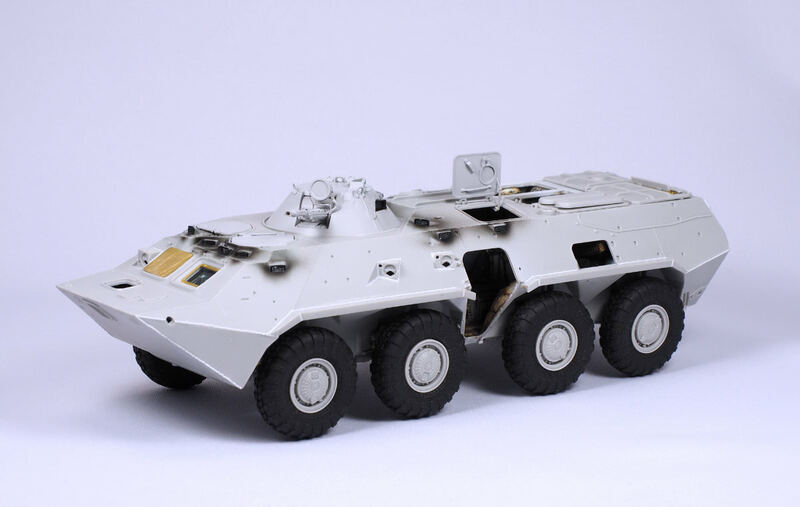 Wasn't able to find the corresponding Voyager PE set for the BTR-80, so I am using BTR-80A set instead. They are almost identical except for the turret, so it should be more than usable. 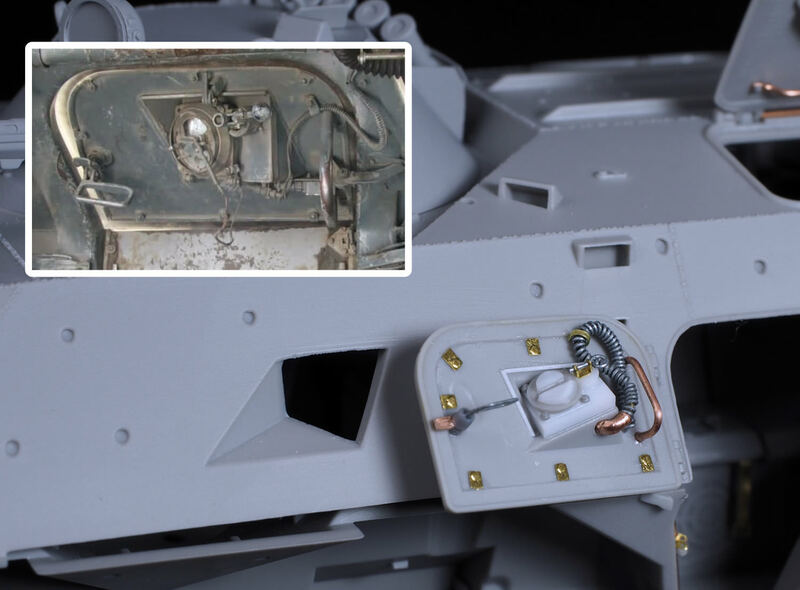 The kit comes with ok interior for the turret and crew compartment. Unfortunately there is no engine included. I decided to scratch build the engine. This is my first real scratch build, and so far its looking pretty good! I can still utilize some information though, like the one illustrating the IR illuminator. 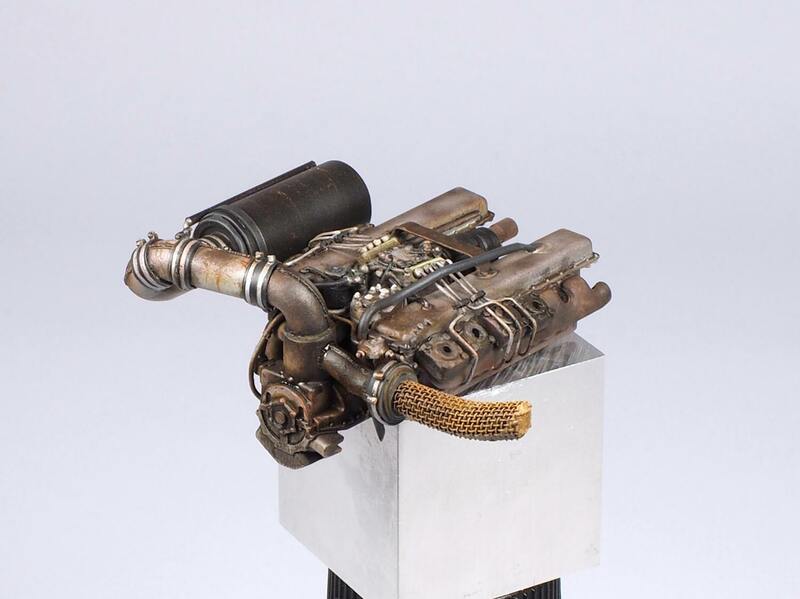 Here is the scratch built KamAZ-7403 engine. 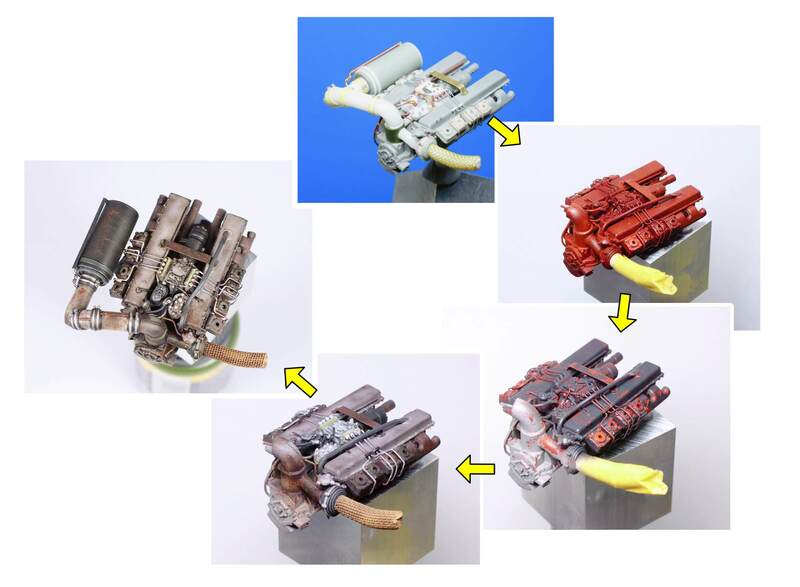 I used some parts from Miniart U-54 engine kit. Nice work, on the engine. I will be following along. Glad I stumbled on this build. Your Vietnam one was a brilliant build, lets see how this one goes. 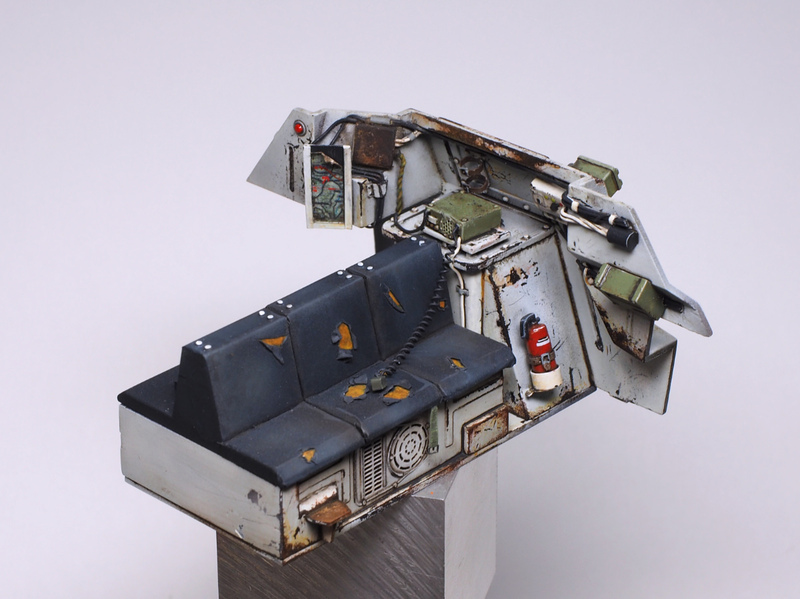 Some more scratch built interior details on the firewall between the engine/crew compartment. Not many information I could find about this area, so most of them are imaginary. Only few hatches and doors will be left open. 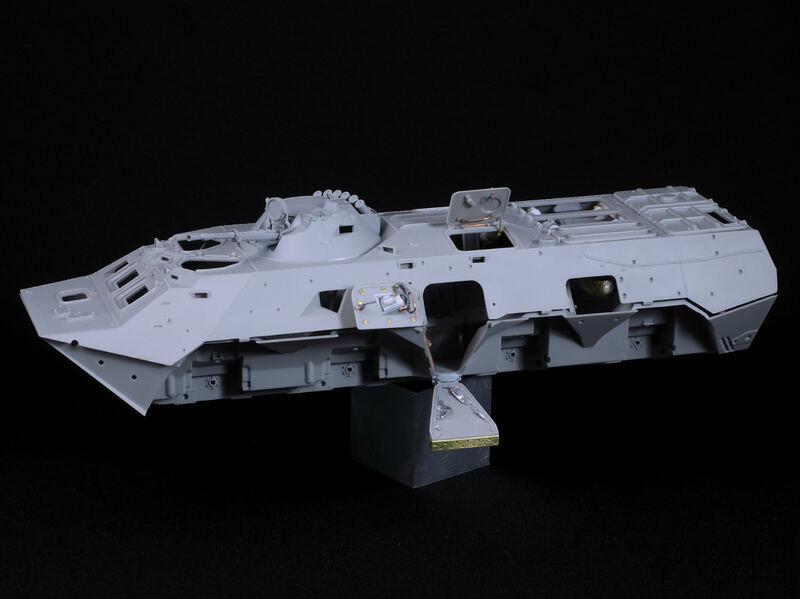 I didnt bother to detail up the parts which will be barely visible after closing the hull halves. Very nice work so far. I am inspired by your paint job on the engine. Something I will try to replicate this weekend. Thanks man. 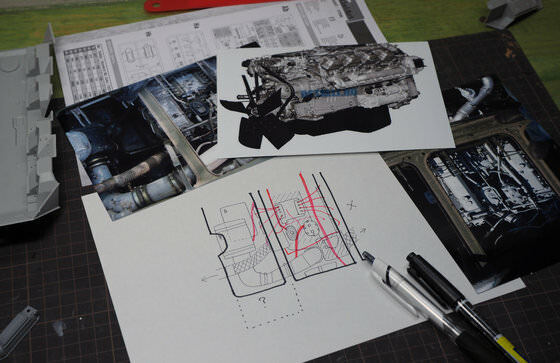 Hope this helps with your engine painting. I started by applying a good coat of Creos oxide surfacer. I also add a slight tone variation using different shades of brown & orange. After a coat of hairspray, I spray a charcoal black mix I made from Tamiya acrylic range. 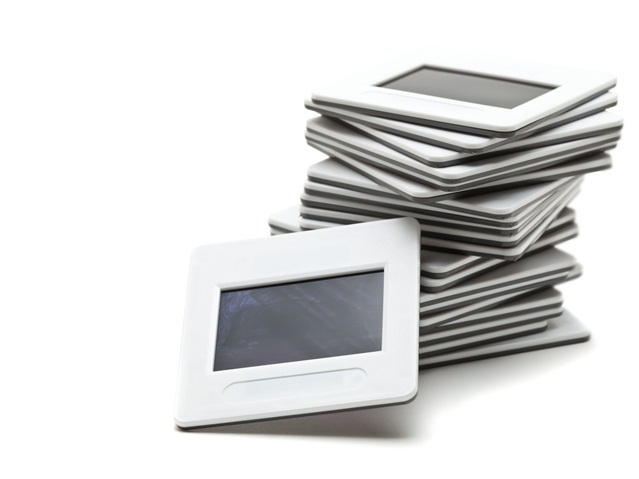 Then, chip them after 10 minutes of drying time. This step isnt really important, as you can see there`s very little chipping effect visible in the final pic. 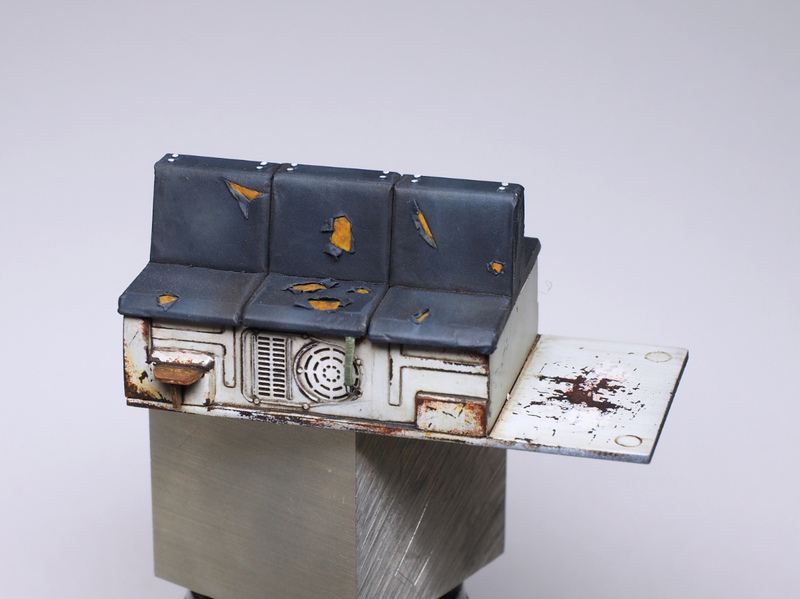 Detail paint using Vallejo and Tamiya enamel. 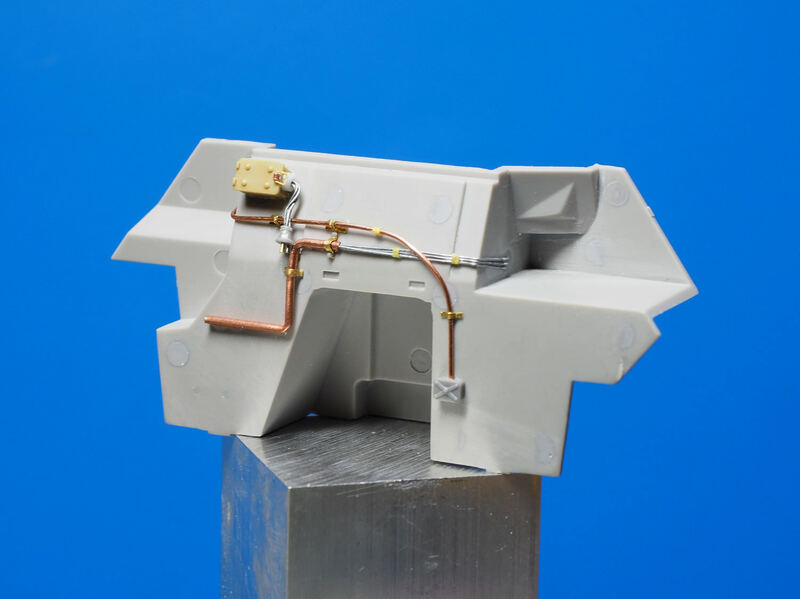 Parts made from aluminium are much more resistant to rust, so you should keep those areas clean. Apply a thick black wash to bring up the details. 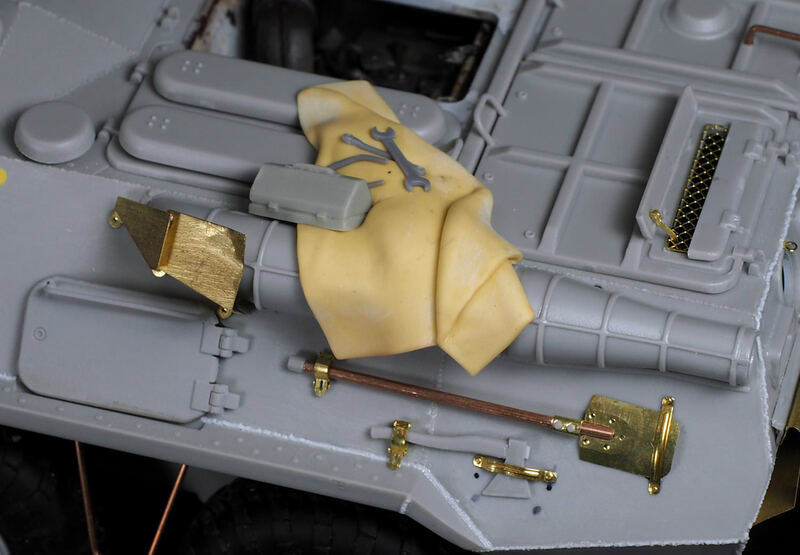 Add more weathering effects such as oily grime and additional rust streaks. Thank you very much. Yes, that helps me. 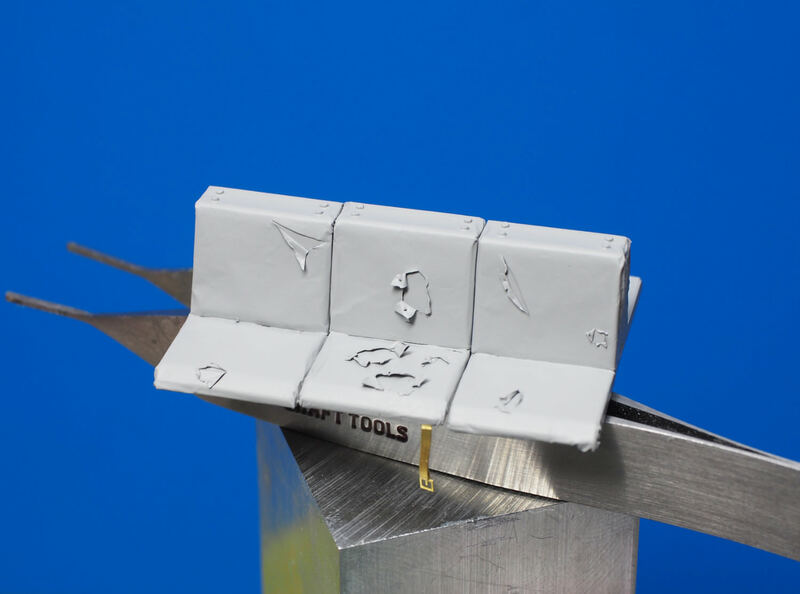 There is always something new to learn, especially in painting a model. You illustrated it well. Thats very true, especially for modeler like me who has been in this hobby for not so long. Some more work on the interior detail. This time working on the various hatches and doors. Im excited to see how this "ripped" effect on the door will look after painting. And some profile shot because why not. 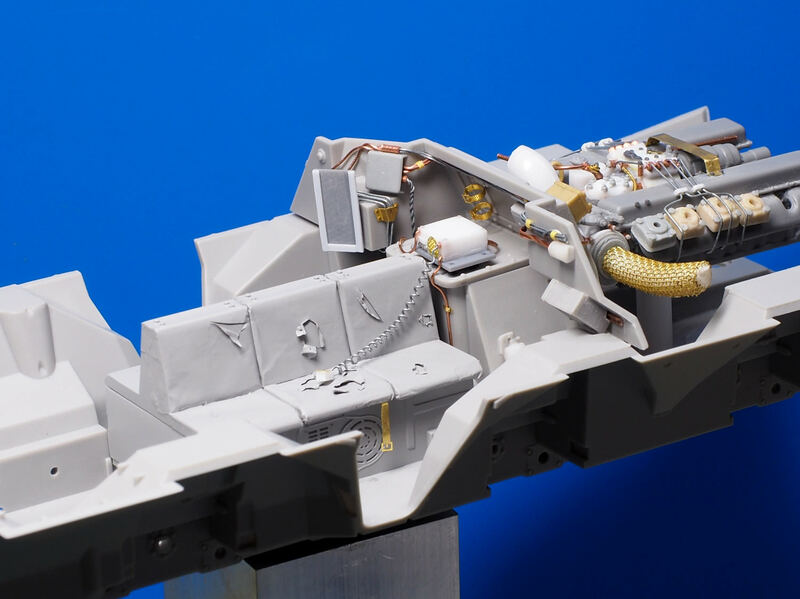 album foto engine - compartment . Fantastic build! I'm going to follow this for sure. 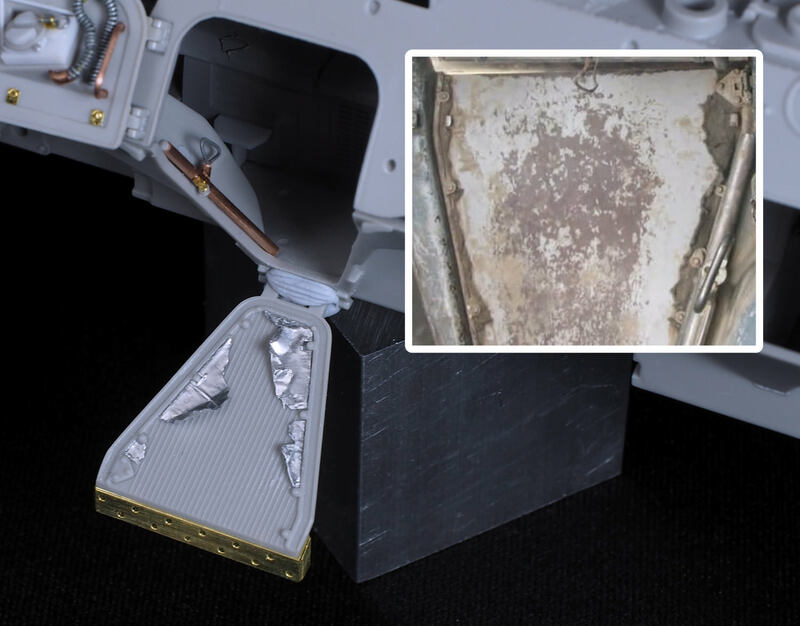 Unfortunately there is not much I can do for the engine, but the details on the engine maintenance hatch is certainly helpful! Im wondering how I should add those letters/numbers on the other side of the hatch. Some paint work on the interior. Are you using the hairspray technique for this or something different? Yes, the base chipping was done using hairspray. And another layer of hairspray chipping this time to add more tones to the white surfaces. Though, I think I would have done fine just using sponge/brush chipping. I am a strong worshiper of hairspray I use them too much. The overall fit between the lower/upper hull wasn't terrible. 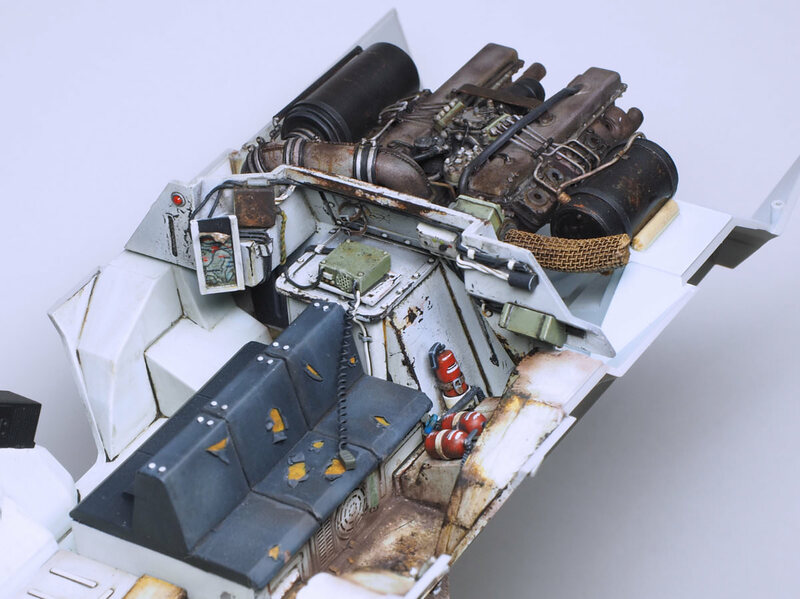 There was a little bit of interference due to the scratch built parts of interior, but nothing too serious. I can finally move on from painting the interior. Thank you Christian and Zaidi! Some detail will be hidden, but I`ll leave one door and a hatch open to reveal the crew compartment. Engine will be visible no problem. Some minor progress on the chassis. 2. how did you do the torn covers on seats? Paper? The ripped sheet was done using aluminium foil. It works quite well. contained two thin sheets of glass. 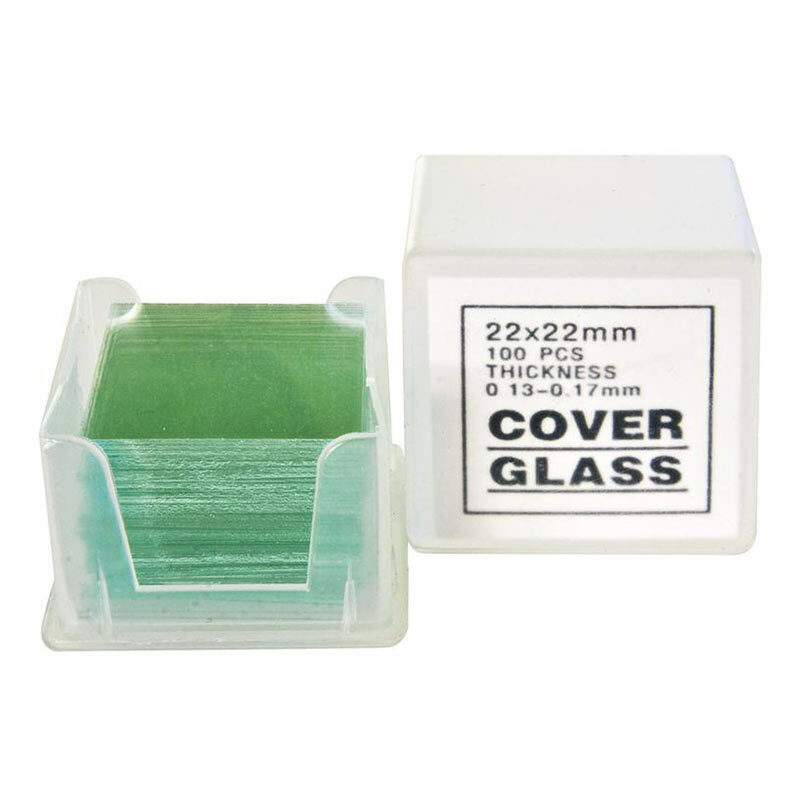 Thanks guys for the tips on covers and glass! Frankly, Im getting quite bored of this project. Atleast I can start laying some paint on it. Don't lose your spirit now, mate. The best is still ahead of you. You did a fantastic job on that BTR. 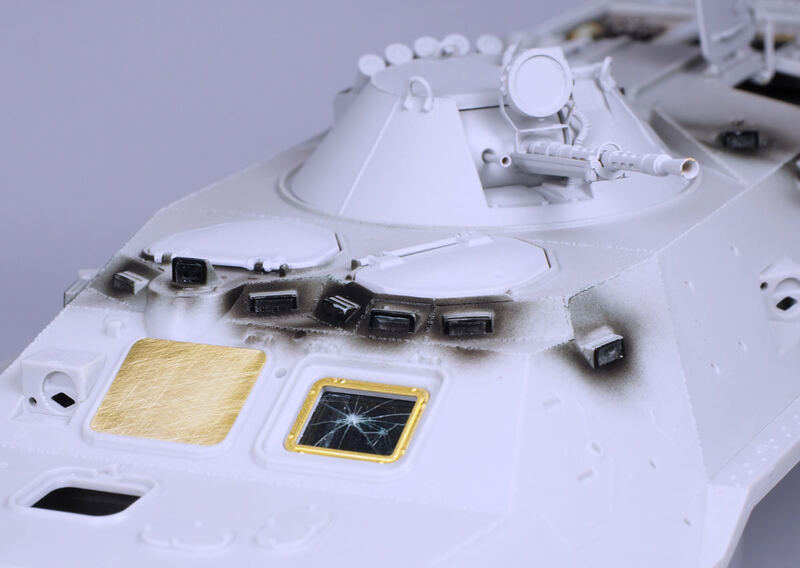 Can I ask how you managed to break that glass and then glue it on the model in one piece? It looks terrific.